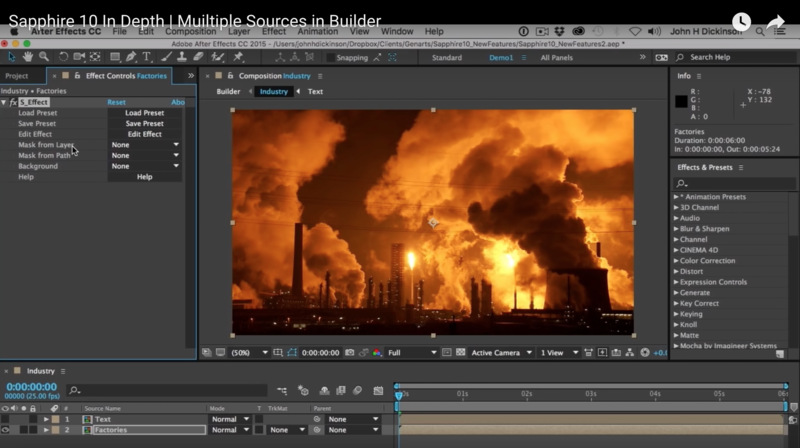 A new and powerful feature of the Sapphire visual effects suite is the revolutionary Sapphire Builder, a node-based effect compositor that comes free with Sapphire. Builder can simplify your workflow by making it easy to create complex custom effects and transitions from scratch and then save these multi-layered effects as single instances, which then can be quickly applied elsewhere in your project. Watch how John Dickinson of Motionworks.com explains how he uses Sapphire Builder in his motion graphics work. 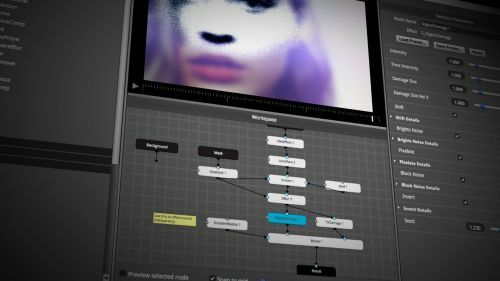 Sapphire’s Builder gives users the ability to browse and try out Sapphire with ease, enabling artists and editors the flexibility to stack and connect Sapphire effects and transitions in ways that were not previously possible. Builder ships with over 150 pre-built “advanced presets”, so you can start using it right out of the box. When working in Builder, you have access to over 250 effects and more than 3000 presets, now filtered by common tasks, rather than effect name. For example, you can now search for “color correction” effects, “lighting” effects, or “text-based” transitions. This new way of browsing can be a massive timesaver when it comes to developing looks, grades, and custom effects. Once you start working with Builder, you will wonder how you ever managed working with effects without it. Builder allows for infinite creative freedom when creating custom effects, but that’s not all it does. 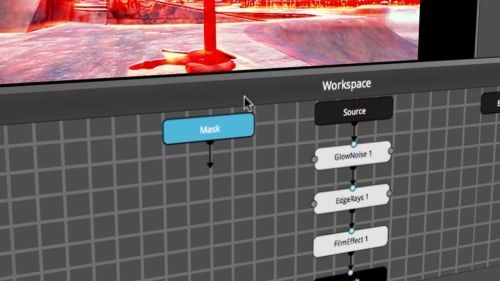 Another key feature is the ability to work with multiple source clips or type layers right inside Builder, and bring in masks directly from your host so you can further refine your effects. This feature dramatically increases the power of Builder by opening up limitless creative options. 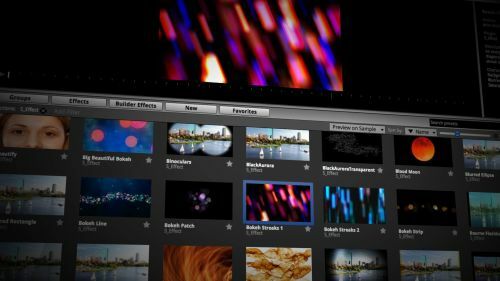 Anything created within Builder can be shared and edited between any of the supported host products: Adobe After Effects, Adobe Premiere, Avid Media Composer, and Blackmagic Davinci Resolve. This takes the pain out of starting a project in one application and finishing in another. With Builder, offline to online workflows are a breeze.